The Midtown rentals at 555TEN are home to one of the city’s most eye-catching amenities: a rooftop pool located 56 stories above street level. The Extell-developed luxury tower is capped by not only the expansive swimming pool, but a rooftop deck outfitted with a lounge, bar, indoor/outdoor fireplace, private cabanas, and stunning views of the Hudson River. The rooftop pool isn’t residents’ only chance to take a dip, however: when the weather gets cooler, they can relax in the building’s indoor saltwater lap pool. Just steps from the 555TEN luxury rentals, the Hudson River is a destination with an atmosphere all its own. Its natural beauty and cultural opportunity will become the anchor for your Instagram-ready summer days and nights living in these Midtown West apartments. Start your ideal summer morning by spreading a towel beach-style on the grass in Hudson River Park. No need for traffic-congested trips to the beach when you and your friends can relax and have an Instagram-worthy picnic of lattes, avocado toasts, and yogurt parfaits that you can pick up from Think Coffee on your way to the river from 555TEN. If the lapping of the water calls to the sailor in you, you can take the New York City Sunset Sail, where, with a drink in hand from their full bar, you can watch the sun go down over the harbor. The dramatic look of the boat’s sail against the glittering skyline provides the chance for a picture you—and your followers—won’t want to miss. Residents of 555TEN can walk on and off a New York Water Taxi, conveniently located at Pier 83, and use the water as a means of getting around town in a way that will be just as gratifying and fun as your ultimate destination, and even more camera-ready. For a classic tour, the boats from Circle Line Cruises also depart from Pier 83. Try the Complete Manhattan Cruise when out-of-town friends come to visit and want to pose in front of every angle of the island in one night. For a fine-dining experience on board another beautiful ship, Hudson’s at Pier 81 is the right place to get photos of friends enjoying luscious food and views. Or you can take a ride with the North River Lobster Company on “New York’s only floating lobster shack,” a phenomenon, complete with lobster rolls and “froze,” that has to be splashed in all of its quaint glory all over your Instagram account to be believed—and envied. Further inland, the river is still your playground (and background) when you go for drinks at Cantina Rooftop, where you can drink tequila and eat tacos for Happy Hour and come back later in the night for live music. Perhaps best of all are the river views that punctuate your days and nights at 555TEN itself, where you can luxuriate in an evening swim plus a glass of wine and capture the perfect pictures of your summer life on 555TEN’s rooftop, with the river glittering in the distance. 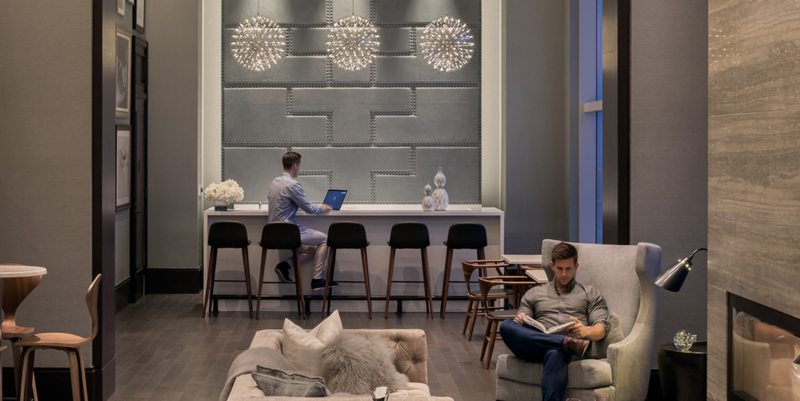 Residents of the 555TEN Midtown West apartments are steps away from some of the city’s most diverse offerings. Sunny bistros, fragrant bakeries, sleek cocktail lounges, and trendy shops are the hallmarks of Hell’s Kitchen, a place known for its laid-back vibe, intimate theaters, and exploding restaurant scene. The Hell’s Kitchen streetscape on 34th to 59th between 8th Avenue and the Hudson River is increasingly picturesque, layered with brownstones and high-rises, welcoming side streets, and bustling shops. It’s hip, eclectic, and fiercely independent, too—something that lends it a strong sense of community. All of this is to say that Hell’s Kitchen isn’t exactly the sweltering den of misery its colorful name implies—not even close. That name has been traced to a variety of sources: a London neighborhood, a Manhattan gang, and a conversation between two police officers that pivoted on the difference between “Hell” and “Hell’s Kitchen.” At any rate, it hints at the history of an energetic and sometimes (in its youth) notorious Manhattan enclave. But even before Hell’s Kitchen was teeming with intrigue, it was a working-class community. In the mid-19th century, it was a place where Irish and German immigrants lived and worked in lumberyards, factories, docks, and slaughterhouses, and on the Hudson River Railroad. Later on, disputes between warring groups of Hell’s Kitchen immigrants became the basis for the musical West Side Story. The history doesn’t end there. For decades, it has been a haven for actors working in and outside of the nearby Theater District, and a culture of off-Broadway plays and performances has flourished in Hell’s Kitchen. Proximity to the theaters has also made it an international cuisine scene, celebrated every year by the Ninth Avenue International Food Festival—and every day and night by hungry theatergoers and Hell’s Kitchen denizens. The street life is striking and diverse. Depending on your direction, if you gaze or walk down one of its side streets, you’ll encounter a surprising number of trees, the glistening river, or a full family of glorious Midtown skyscrapers (that appear to be watching you watch them). Bordered by Chelsea and the exciting new Hudson Yards development on the south, the Theater District to the east, and the Lincoln Square neighborhood on the north, Hell’s Kitchen has always been distinctive and is experiencing a resurgence in the 21st century. We may never identify who first uttered the words “Hell’s Kitchen” to describe this section of the city, but one thing is certain: the people who live and work here are proud of the name. It has no negative connotations for them because this “warm” and lively place, filled with some of the best hot spots for enjoying an eternity of NYC luxury and fun, is, today, a far cry from any hint of infamy. Whether you’re an inveterate swimmer of laps who thinks of the pool as an extension of the gym or a more relaxed hard worker who just wants to unwind in the shallow end, 555TEN has you covered. This collection of Midtown rentals features a pair of pools: an indoor saltwater lap pool for those early-rising exercisers and a rooftop pool and sun deck for those of us who prefer to relax in the water. The pools are just a few of the amenities available to residents of this high-rise, which also features an indoor cycling park, covered dog-run, yoga studio, and private bowling alley. It’s that time of year again: windows are opening; flowers are blooming; tables are moving outside; pool covers are lifting; skirts and shorts are being put back in rotations; bike lanes and parks are filling up. The warmth has returned. If you listen closely, you can almost hear the sound of mojitos being muddled. Rejoice, fellow New Yorkers! For now is the time when the city truly comes alive. 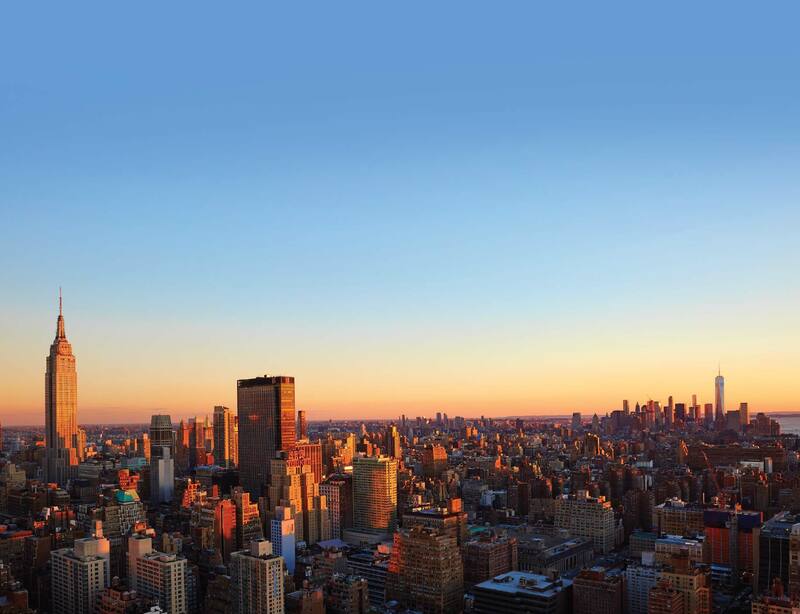 There is nothing better than spring and summer in NYC, especially if you’re fortunate enough to live in one of the Midtown West apartments at 555TEN. Before we even venture out to some surrounding options, we have to mention the incredible rooftop pool that sits 650 feet over Manhattan. It’s the type of pool people wait in line for all day even if it’s just for a quick dip. But if you live in 555TEN, it’s right upstairs. Imagine lounging on a float in a private rooftop pool as the city sparkles beneath you. That could be your Tuesday—or, frankly, any other day. You’ll never want to leave. El Centro is a vibrant contemporary Mexican eatery with incredible quesadillas, nachos, enchiladas, mojitos, and margaritas. They have a sizeable street-side patio space, so you can soak up some sun while imbibing. It’s the perfect place for an early dinner or just a few cocktails. If you’re in the mood for a good ol’ burger and fries and perhaps an ice-cold beer, McGarry’s is the destination. Their food is bar fare prepared with care—it’s delicious. Their service is friendly and quick, and their beer garden out back is an amazing place to be on a nice day. The hours tend to just tick away when you’re there. This one is a few blocks further than the others, but it’s worth the steps. Summer Garden sits right in front of the fountain at Rockefeller Center; it’s an iconic and stunning space and a must-visit during the summer months. They have a stellar brunch, and it’s a post-work destination like no other. This place is about as serene as an NYC restaurant gets. There’s a bamboo garden here, and there’s plenty of outdoor seating. You’ll still feel like you’re in New York, just a quieter, more ethereal section of it. Their brunch (modern American fare) is phenomenal and quite popular in the area, so be prepared to wait. Again, it’s worth it. Sitting outside at 44 ½ on a nice day while eating a sharp gruyere omelet is pretty heavenly. Those seeking a luxe place to lounge this summer need look no further than the Midtown rentals at 555TEN. 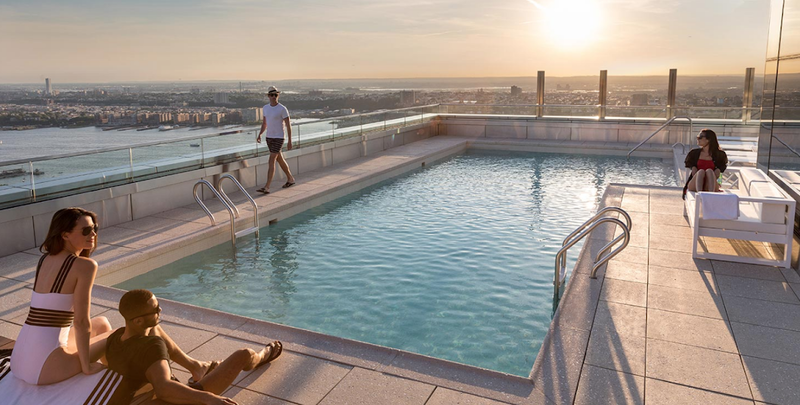 The luxury building is home to one of the city’s most elegant roof decks, featuring a rooftop pool, private cabanas, chaise lounges, and stunning views of both the city skyline and the Hudson River from 56 stories up. After summer ends, the rooftop is just as exciting a place to be, however: at the building’s all-seasons rooftop club and bar, an indoor/outdoor fireplace keeps it toasty in the cooler months, too. 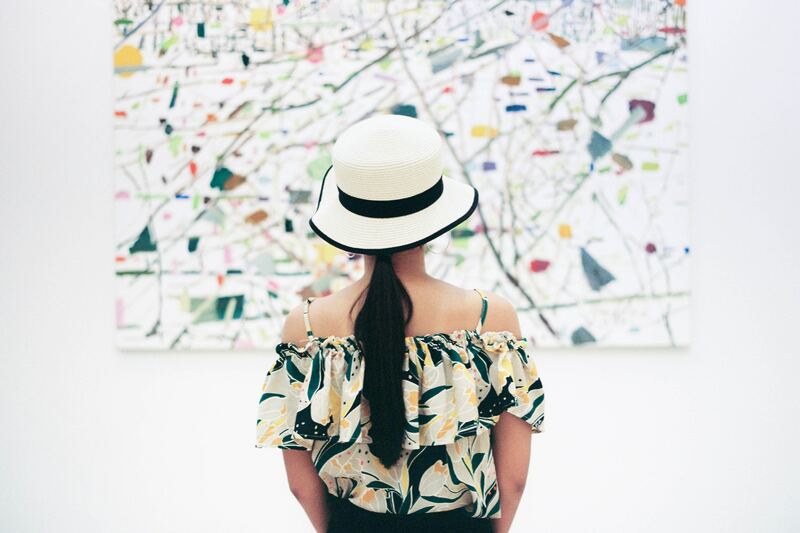 Chelsea is home to some of the most prominent galleries in the world. It’s the place where great artists have their most important shows, and it’s where up-and-comers make their debut on the world’s stage. There’s an unmistakable energy and freshness when you’re this close to art that is about to change the cultural landscape. And when you live in the luxury apartments for rent at 555TEN, this is part of the pulse of your Midtown West neighborhood. Art shows and openings where you stand shoulder to shoulder with the featured artists are just a natural part of your day-to-day life where the cutting edge is formed. Another heavy hitter is David Zwirner, which is a gallery that has featured so many of the best artists at work today that the original space was not big enough. Zwirner has since expanded into the adjacent address where a museum-quality list of artists past and present show the kind of work that critics struggle to praise highly enough. Chris Ofili, Mamma Andersson, Neo Rauch, and Raymond Pettibon have all been showing with Zwirner for years and garnering the kinds of reviews art collectors keep on file. Collectors also know to keep up with the calendar at Luhring Augustine, where Pipilotti Rist, Tom Friedman, Christopher Wool, Larry Clark, and Janine Antoni show their work before it makes the rounds of the world’s most renowned art museums. Gallery Lelong is now featuring Radiation Explorations and Magnetic Fields, a group of paintings by Mildred Thompson. The gallery’s roster also includes legends like Carolee Schneemann and Nancy Spero. Another current must-see exhibit is Falling Water, a group of photographs of an Icelandic waterfall by the South Korean artist Boomoon, at Flowers. Boomoon’s images, which recall abstract paintings as well as supernovas in space and digital explosions, capture the magnitude of the past and future of contemporary art. They also give you a sense of the intimacy of what it’s like to be this close to the awe-inspiring—a feeling you will come to know quite well living in the Midtown West apartments at 555TEN, just steps away from the inspirations of West Chelsea. Relaxing with a decadent treat after a tough work week can be a highly effective stress-reliever. Never underestimate the power of eating something monumentally delectable. Just a few avenues east of 555TEN sits one of the city’s best bakeries. For over two decades, Magnolia has been creating incredible pies, cakes, cupcakes, scones, muffins, cookies, brownies, bars, and pretty much anything else sweet. Their cupcakes are amazing, and they rotate throughout the week, so they provide a calendar on their site to help patrons know exactly when their favorite flavor will be available. Their apple crumb pie is wonderful, and their famous banana pudding is the best in town. Go. Go now! 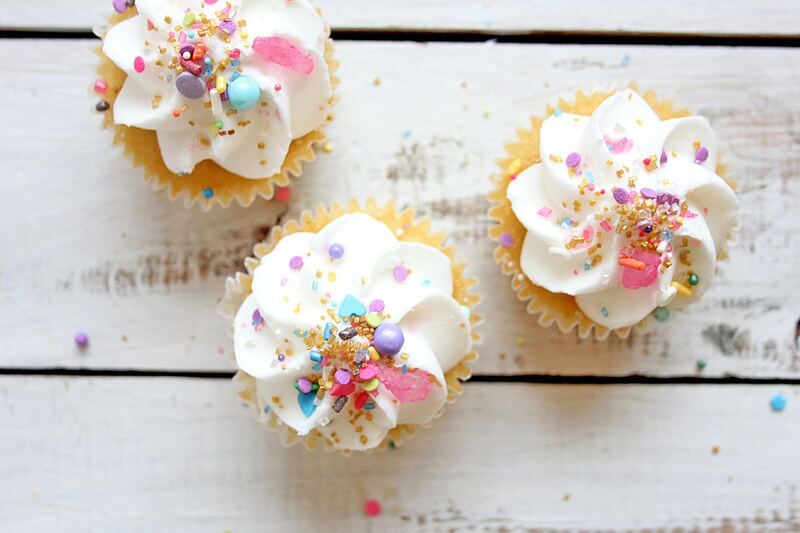 A quick 10-minute stroll, and you’re in tiny-cupcake heaven. If you’ve been to a party in the last year or so, there’s a good chance someone brought a box of Baked by Melissa’s delightful bite-sized cupcakes. It’s kind of like a tapas experience for cupcakes. Instead of having to decide on one, you can try three of four flavors or more. The flavors are inventive and unique. They have everything from pb&j and Key lime to cookie dough, hot cocoa to mint cookie, electric tie-dye to chocolate chip pancake. They even have equally delicious gluten-free cupcakes! Each bite is its own experience. The frozen yogurt craze has ushered in many interesting options, but Pinkberry is our favorite, and it’s only four blocks from 555TEN. It’s their well-balanced flavors and the freshness of their yogurt and variety of toppings that put them a step above the competition. Currently, they are serving cinnamon churro, salted caramel, chocolate hazelnut, mango, coconut milk coconut, and a bunch of others. If you like something tart—they have you covered; if you like something sweet—they have you covered; if you like a bit of both—well, you get the point. The best part of Pinkberry is the ability to customize your dessert with any combination of their 27 toppings. For over 30 years, Little Pie Company has been offering up a stellar cast of pies in their, as they describe it, “theater of baking.” It’s a famous locale for good reason; the aroma of their cinnamon apple pie swirls through the street, almost daring you not to go in and try it. Luckily, it’s only a few blocks from 555TEN. Strawberry rhubarb, sour cream apple walnut, Key lime, three berry, Mississippi mud, and banana coconut cream are insanely delicious staples, and inventive, seasonal additions pop in and out periodically. The pies are made from locally sourced ingredients and are truly as fresh as can be.